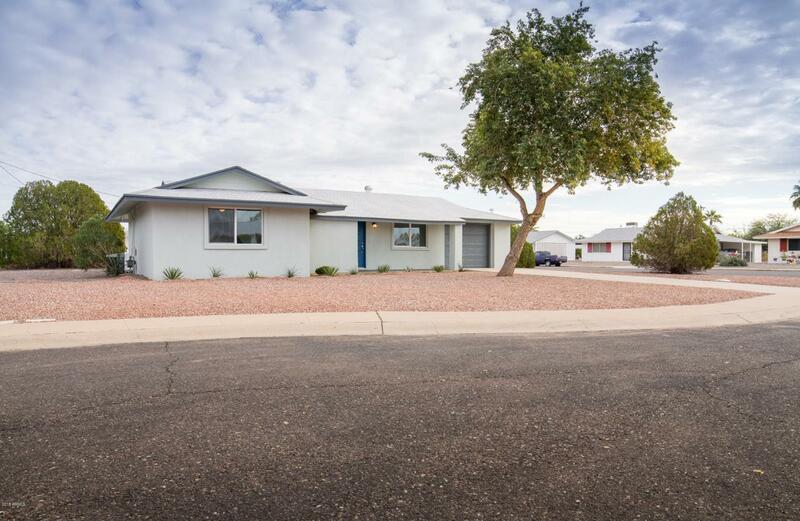 Gorgeous Remodel with Open Floor Plan on Over-Sized Lot! Shaker Cabinets with Quartz Counters and an Island Opening to the Family Room make for Great Entertaining. 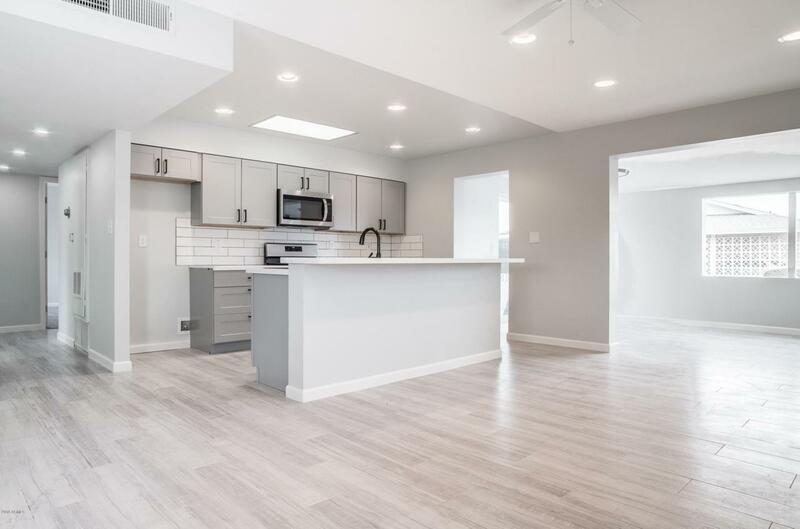 Large, Inside Laundry Room, Office Nook and 2 Full Baths. Enclosed, Connected Garage to Interior with All New Windows, Flooring, Fixtures and Doors. 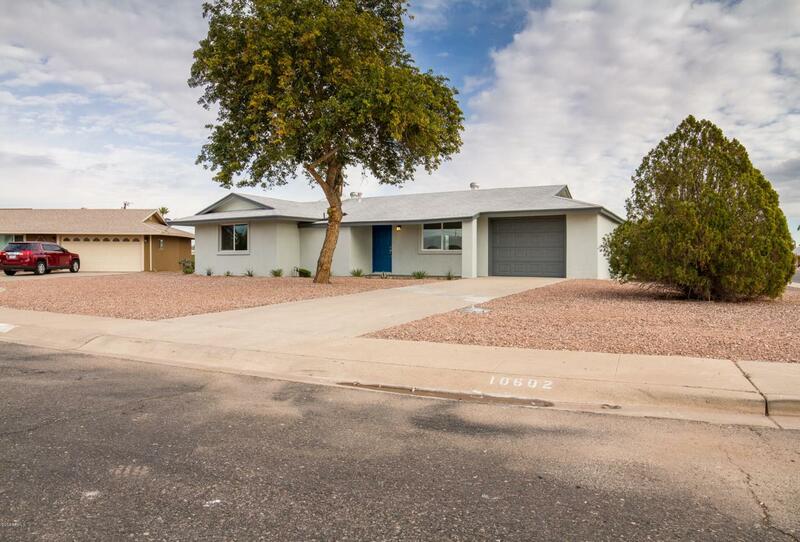 Brand New Roof with Transferable Warranty, New Paint and Stucco (30 year synthetic) on this Home's Exterior, Private Backyard and Patio as well. 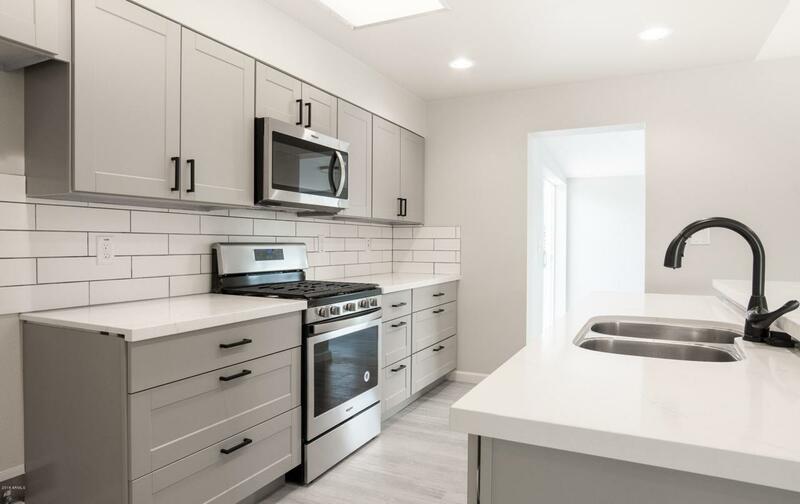 Brand New Stainless Steel Appliances and Newer Sewer Line Connection are some of the Features this Like-New Home has to Offer.